Boosters are constant every year, at least one or more. I am not sure if there is another existing way to modify skill attributes. 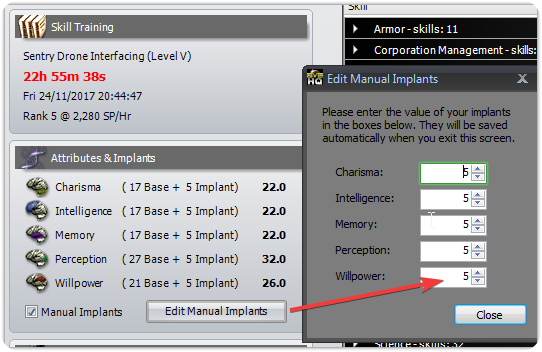 If possible please allow manual implant to go above 5. Due to the reason Crimson Harvest Cerebral Accelerator is not supported, would be awesome if we could change up to max 17, instead to current 5, for max implant number. Whats optimal dotnet version to have installed for evehq? i just wanted to report back, Asset viewer does not see new PLEX, so it is not calculated in Total Asset value.